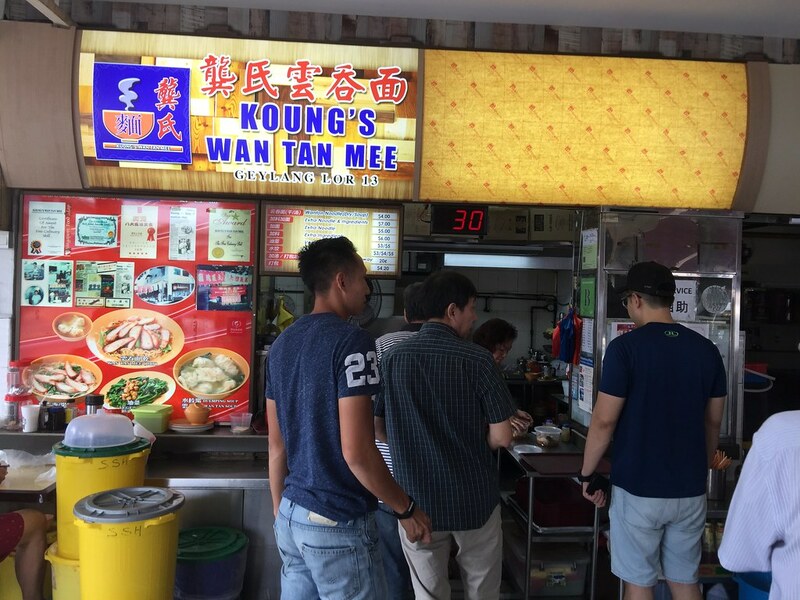 I have been seeing quite a number of online coverage about Koung's Wanton Mee at Geylang. Since I was around the area on a Saturday afternoon, I decided to make a slight detour to check out the place. 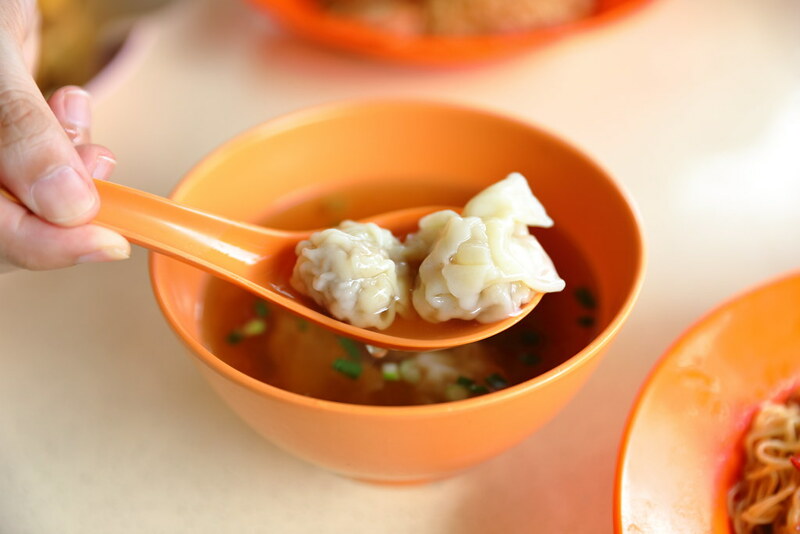 Located in a coffeeshop at the corner of Sims Avenue and Geylang Lorong 13, the coffeeshop is crowded with customers for their wanton mee during my visit. 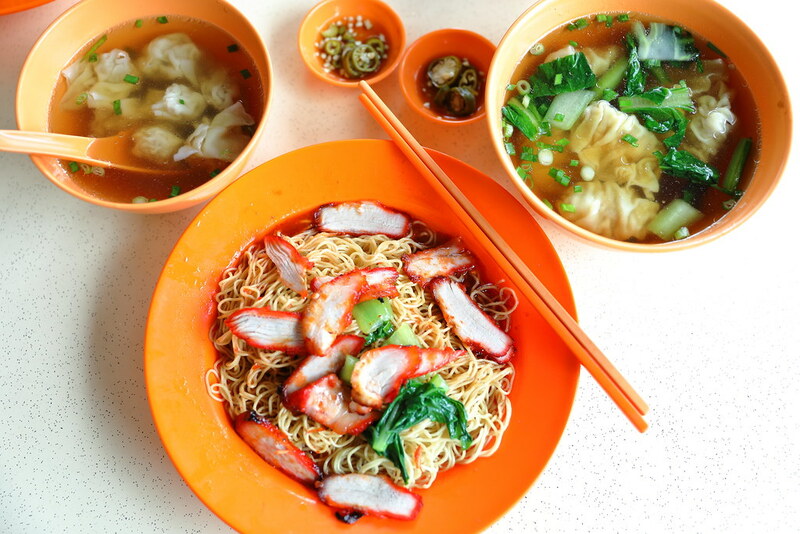 A plate of Wanton Mee starts from $4 here. You can choose to add more noodles and/or ingredients for extra cost. I decided to go for both, costing me $7 per plate. 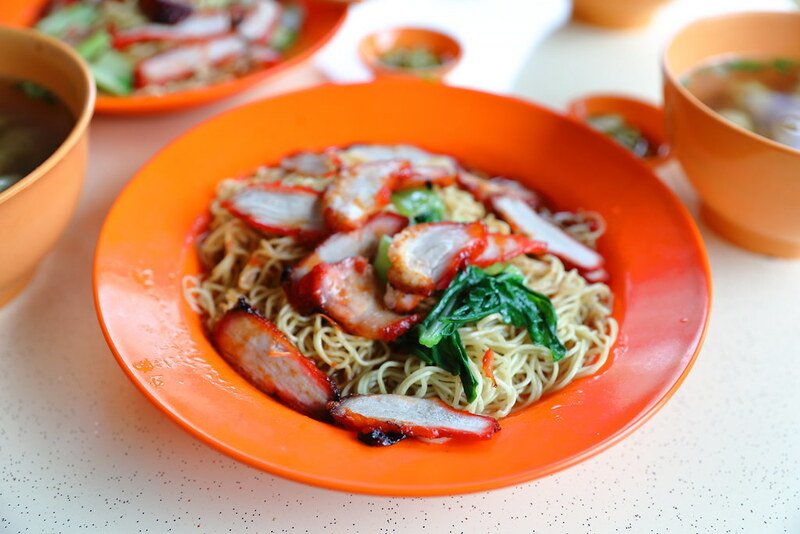 It comes with a few strands of vegetables, slices of char siew and egg noodles tossed in a homemade chilli sauce. Personally I do not like the noodles here. It is the thicker and firmer type. I prefer the thin and springy type like those Hong Kong wanton mee. 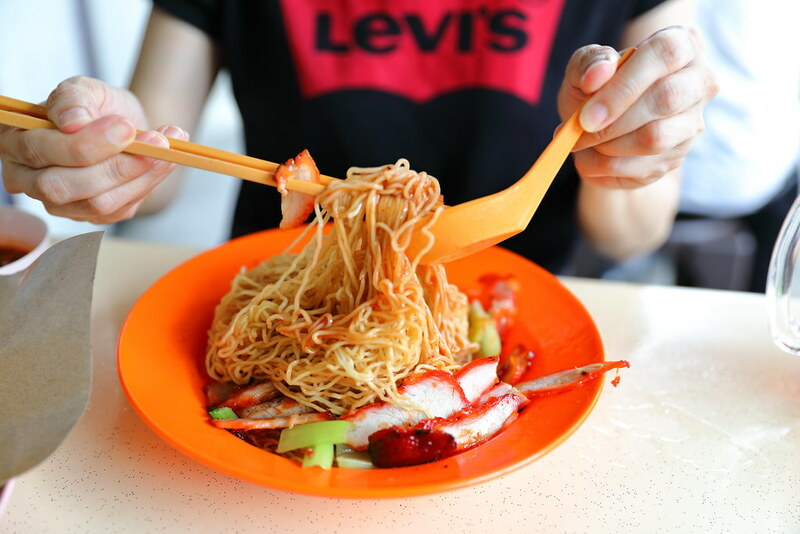 Putting that aside the other components like the char siew, chilli sauce and wanton actually make this a delectable plate of noodle, no wonder it has a great fan base all these years. While I didn't like the noodle, I have to applaud the fact that the stall makes their own char siew at the stall, wrapped their own wanton and dumpling, as well as frying their own chilli sauce. 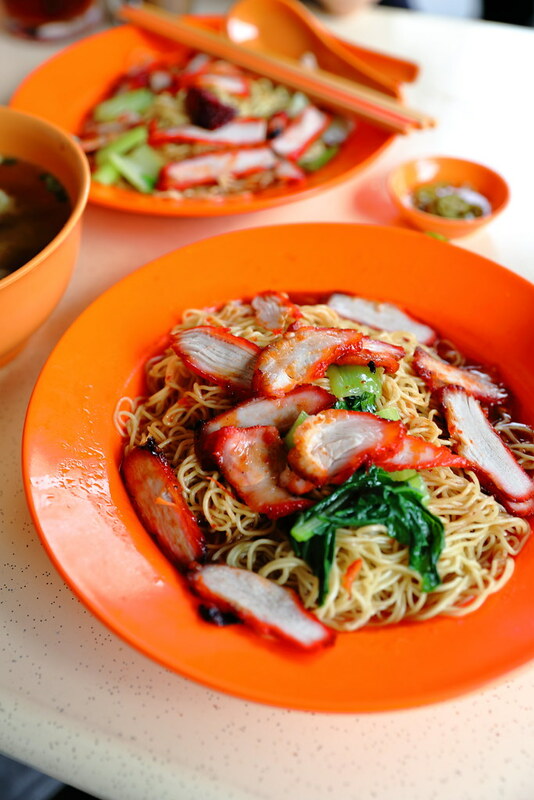 I am a Wanton Mee lover also, mind sharing your favourite list.